Monica Villanueva holds the rank of Yodan at Kodenkan Academy of Martial Arts and is the 2019 AJJF National Convention Host. Kerry Sego, holds the rank of Yodan at Santa Clarita Valley Jujitsu. The 71st Annual AJJF National Convention in Chicago will be an unforgettable experience! It will be the gathering place for Danzan Ryu practitioners from all over the country–places as far away as Hawaii and California, Minnesota, Oregon, Colorado, Utah, South Carolina, New York, Idaho and Pennsylvania. There will even be some international travelers. How can you make it special if this is your first time attending? Let us offer some suggestions as to what you can expect. Thursday’s activities start with senior instructor training followed by a Board of Professor’s Meeting. Many people will be arriving for the weekend today and getting set up at the hotel. When you arrive, check in at registration to receive your packet: convention t-shirt, banquet ticket and brochure. Classes will start on Friday. And there will be black belt examinations that may be watched if you are of an appropriate rank. A Welcome Party will take place in the evening, giving you a chance to make some new friends in a casual setting. Saturday morning will be the opening ceremony. Wear a crisp clean gi and be prepared to listen to instructions for the convention, and participate in a formal group bow-in. Classes will be throughout the day, both Saturday and Sunday. Be ready to learn new things, from new instructors, and use new ukes. Soak it all in, bring your notebook to write down new ideas for the development of your arts, and don’t be afraid to ask questions of your instructors. 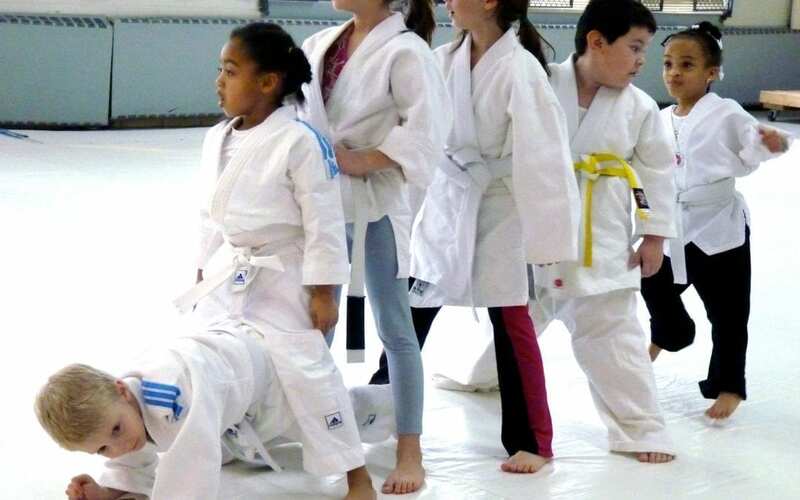 Remember that safety means taking care of each other on the mat at all times, so if there is any problem, be sure to let the instructor of the class know right away if you have an injury. Try classes you might not have done before such as a weapons class, or a healing class, or a lecture class. There is a protocol for attending classes. Make sure you are rank appropriate for the class taught. If you are unsure, check the schedule, ask your sensei, or ask the instructor. Arrive a few minutes early to stretch out and scope out who you may want to work with. Should you have to arrive late, wait on the side of the mat to receive permission from the instructor to bow on. And if you have to leave the mat for any reason, be sure to inform the instructor in advance. The most important thing you bring on the mat is your willingness to learn–meaning do the techniques the way the instructor wants you to, rather than settling back into your comfort zone. That being said, know your own limits and the integrity of your body. It’s okay to stop if you need to . Off the mat, be sure to talk to people. 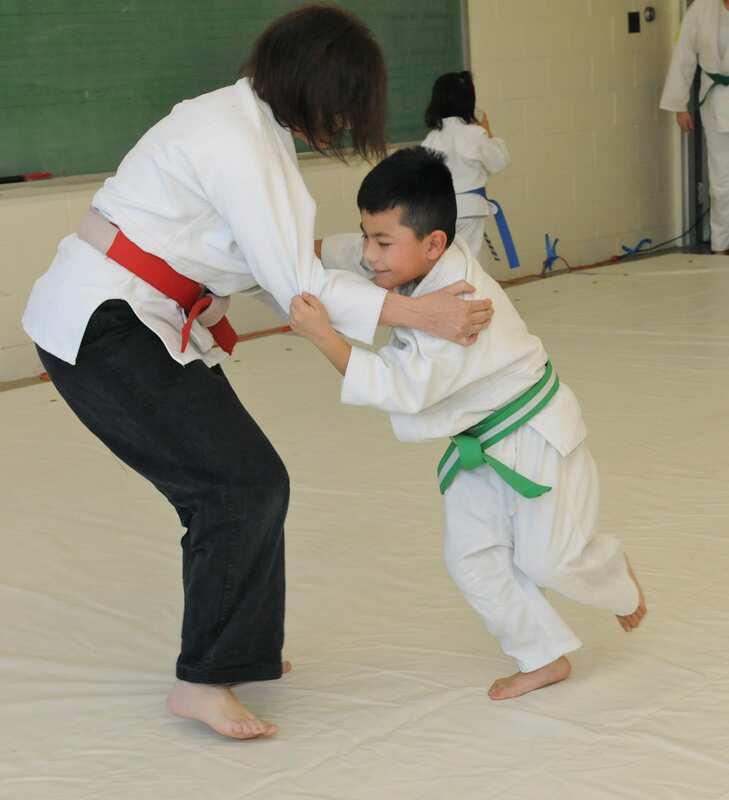 Danzan Ryu is a big family–you will be sure to make new friends. Check out the AJJF store and buy some clothing or souvenirs. Vendor tables of goods for sale will be set up where you may buy a new book or video. Enter the raffle. Have lunch with someone who is not from your dojo. The high point for the convention is often the Saturday night banquet. Arrive early enough to share an adult beverage with your dojo mates, take photos, and chit chat with new friends. There will be food and entertainment, awards and promotions, stories and applause. Following the banquet, many jujitsuka gather in a common area to linger for late night libations and laughter. But don’t stay up too late–there are more classes on Sunday, promotional throws, and a formal bow out at the end of the weekend. Most of all, if this is your first convention, come with an adventurous mind-set as you never really know what to expect as each convention is different with its own flavor–and this is the first time the AJJF has had a convention in Chicago, Team Kodenkan Midwest, has been working tirelessly to provide a quality experience for you. Be sure to thank them for their efforts, and be ready to create new memories, strengthen your friendships and hone your techniques.